Here we have a fabulous and rare vintage original HIGH-END 1978 Blaupunkt Frankfurt STEREO auto radio in perfectly refurbished and fully serviced condition! The Blaupunkt Frankfurt STEREO was a high-end radio choice for demanding owners of exclusive cars of the 1970s. This fine stereo radio is built-up to original universal luxury specifications and with 1975 – 1980 BMW style knobs for all BMW models of the period. The radio will fit the industry standard 1-DIN dashboard aperture (182.5 x 53 millimetres). 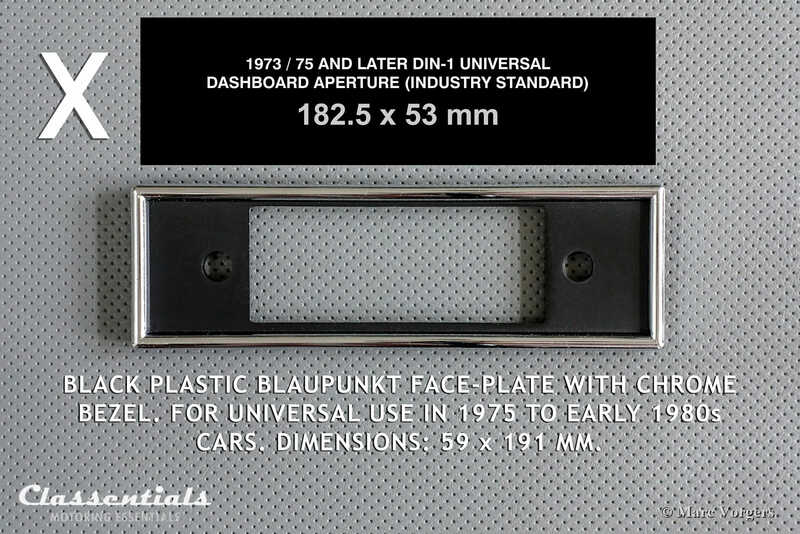 To understand the pedigree of this unit; this type of Blaupunkt Frankfurt STEREO was a factory option in Rolls Royce cars of the period like the Silver shadow and the Corniche, we have the correct knobs for this application in stock! This specimen is in PERFECT condition and it shows all the original details! The face plate is a superb original item and the round BMW knobs are expensive custom made reproductions. All the functions work beautifully and the radio sounds amazing! This Blaupunkt stereo auto radio is MP3 / Bluetooth ready featuring a DIN socket to connect an external device. You can buy this auto radio in a package deal complete with a Classentials de Luxe Stereo MP3 Kit OR a wireless Stereo Radio Bluetooth Module! CLICK HERE. Add the radio and the Stereo MP3 KIT OR Bluetooth module to your shopping basket. Then enter the Coupon code MP3 and you will get 25 Euro discount on the combination purchase! 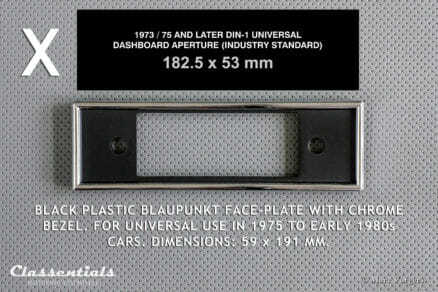 Face-plate: Universal 1-DIN face-plate with chrome bezel and black BMW knobs with silver centres. This HIGH-END stereo radio is fited with BMW knobs. With different knobs it will be suitable for for ALL exclusive cars of the period 1975 – 1982. 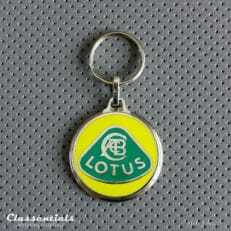 Alfa Romeo, Audi, BMW, Ferrari, Jaguar, Mercedes-Benz, Lamborghini, Maserati, Rolls-Royce and many others. Rendition: STEREO, 2 (4 Ohm) speakers. NOTE: If you want to connect four speakers then you have to use two 8 Ohm speakers per channel. Connected parallel + to + and – to -, this makes 4 Ohm per channel. This is important otherwise you will damage the internal amplifier. Equipment: Tone adjustment, six station pre-set buttons, mono-stereo selection, 1 x DIN connection. 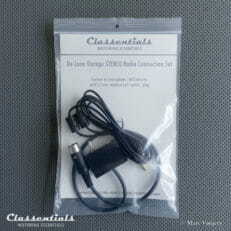 7-PIN DIN connection for optional external devices (in period cassette players) like the Classentials MP3 kit and the Classentials Bluetooth module. Extra in packaging: Classentials Installation Kit 2 with installation instructions, two 1970s style DIN speaker plugs, fuse, earth / ground cable, cable shoes, and a rear mounting strip. Installing: Basic car conditions before installation: Radio prepared car with dashboard openings, 12V power lead, analog telescopic antenna, standard (dashboard speaker) with wiring.